Gold cutlery hire for special occasions and weddings. Whether you need to hire 10s, 100s, 1,000s or even 10,000s. 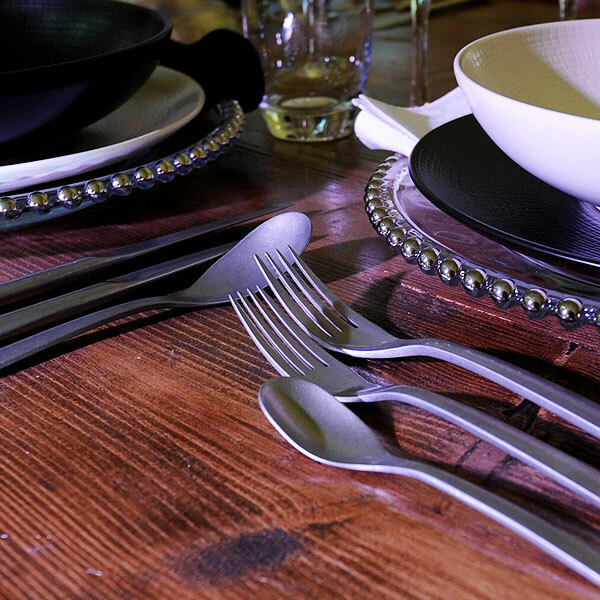 Sleek & stylish Mercury cutlery, available to hire for special occasions. Beautiful fine dining cutlery hire available for large events. 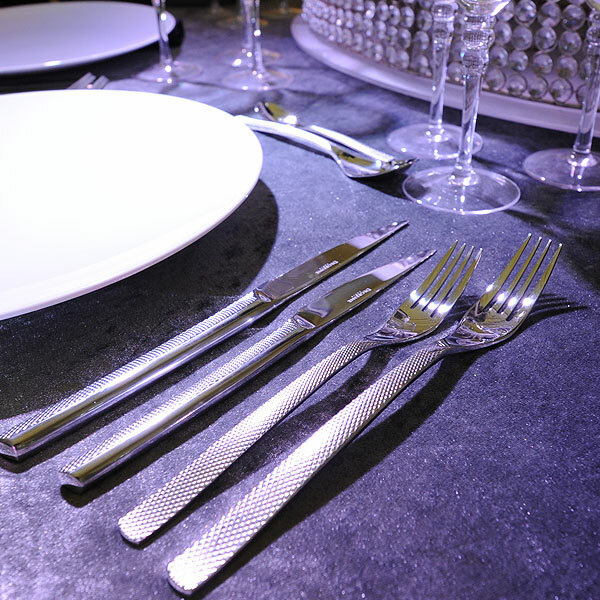 Wonderfully styled luxury stainless steel cutlery for high quality events. Rustic, brushed steel finish for top end event dining & banqueting events. Event Hire UK offers you an extensive range of cutlery hire UK which, after all, is what you would expect from a UK event hire specialist. Whether you are hiring cutlery for a wedding, corporate event or family event at home, we are sure that you will find the cutlery for hire that you are looking for in this section. Like many products when it comes to hiring equipment for events, cutlery is very much in demand at various points in the year, predominantly during the summer season for weddings and around Christmas time for party nights and corporate functions. Therefore, choose where you hire your cutlery from very carefully. What is important to you when you hire cutlery? Firstly should be the range. Not every type of event requires the same style of cutlery. This is where a large, nationwide event hire specialist such as Event Hire UK comes into its own, offering a variety of styles to suit your event. 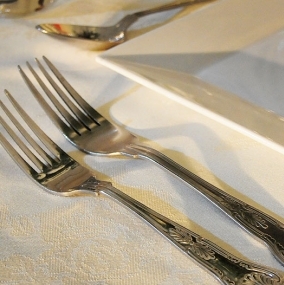 For example, the modern mercury pattern and ellipse pattern of hire cutlery products are perfect for modern style fine dining events and corporate affairs whereas if you are planning a traditional wedding, then you might want to consider the hire of kings pattern cutlery which is more befitting of this style of event. We also offer high quality gold cutlery hire which is ideal for Asian weddings and other special events and occasions, bringing a real sense of luxury and style to proceedings, enabling you to differentiate your event from the norm. 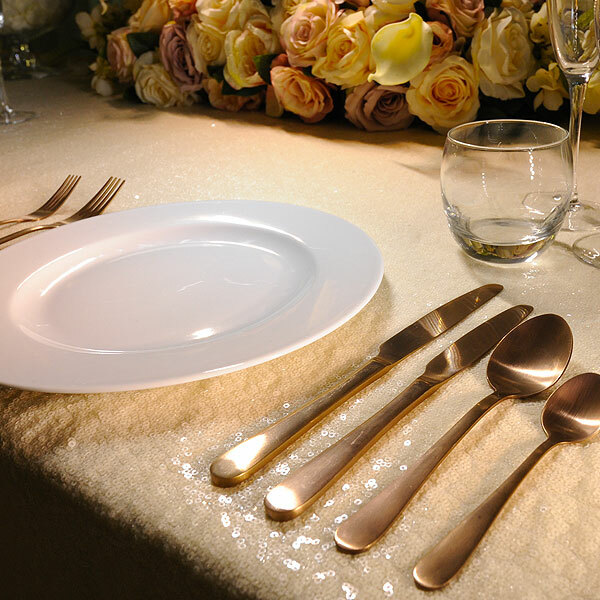 As you can imagine, therefore, event gold cutlery hire london is always popular throughout the year. At the same time, as well as the range of plate and cutlery hire available to you should be the quantity. Bear in mind that most events such as summer marquee weddings and corporate hospitality events will require cutlery products in their hundreds – knives, forks, spoons, dessert spoons, tea spoons, serving spoons etc….the list goes on. Only large event hire specialists will hold this amount of stock and be able to make it available to multiple clients at one time. And thirdly, the condition in which your cutlery comes to you should also be of paramount importance. The last thing you want the day before your big day is to receive poor quality or cheap cutlery which isn’t clean, or the prongs of the forks are bent or stained, for example. Event Hire UK, as part of our quality control procedures ensures that all our cutlery is checked, counted, thoroughly washed and hygienically packed after each and every order, ensuring that when the cutlery hire products arrive with you, they are table ready for your event. Any professional caterer or, indeed, any other event organiser will tell you that when you hire cutlery, it has to be the very best. It is a critical consideration, as people are using your cutlery hire products for eating. 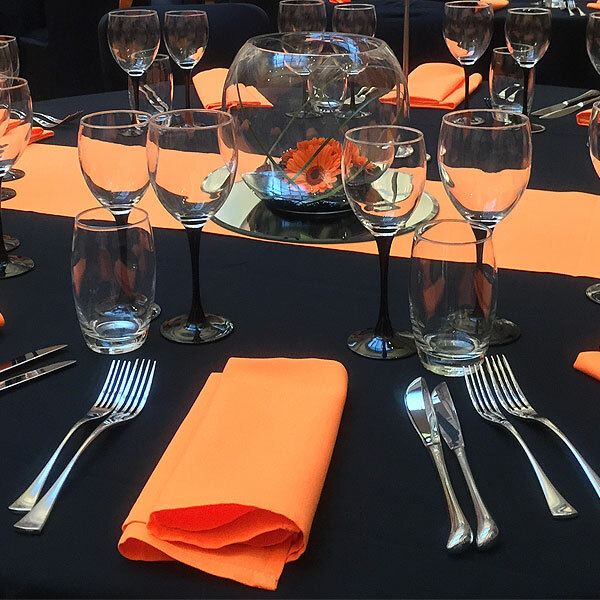 Any sign of wear, uncleanliness or staining will have a massive impact on the impression that you create at your event so make sure you hire silver cutlery from major cutlery hire companies who can deliver this level of quality and service in the quantities you need in the timeframes you require. When it comes to cutlery hire products and, indeed, any event equipment hire products from Event Hire UK, you should have high expectations – we have. Our own standards for quality are stringent and using our formula for top quality products in great condition with great availability at competitive prices and backed up by unrivalled customer service, we have been supplying many clients up and down the country for many years. Of course, when it comes to cutlery hire for weddings, conference dinners and other banqueting events, it’s not simply a case of hiring silver knives, forks and spoons. Yes, these essentials will provide the basis of your order. However, you might want to think of the wider elements that will provide your event with the WOW factor when guests sit down at your table and see the multiple pieces of silver cutlery hire in front of them, sparkling clean and ready for use! Think of desserts knives, dessert forks, serving spoons and silver tea spoons and so on to complete the range of hire silver cutlery that you could hire to make your dining event a spectacular success! 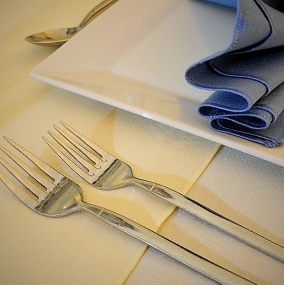 We also offer a return dirty service when it comes to wedding cutlery hire which you are able to take advantage of. This is due to the fact that many people and event organisers, for example, either don’t have the facility to wash all the cutlery after their event and in advance of it being returned to Event Hire UK, or simply don’t want the hassle of cleaning the cutlery after an exhausting event. This is why many people, therefore, choose to return their cutlery hire products using our return dirty service. We have professional machines in-depot that can take care of this for you. Yes, there is likely to be a small charge to incur but for many, this small charge is a minor consideration when it you weight up the benefits of not having to clean all your event cutlery hire products after your event has taken place. 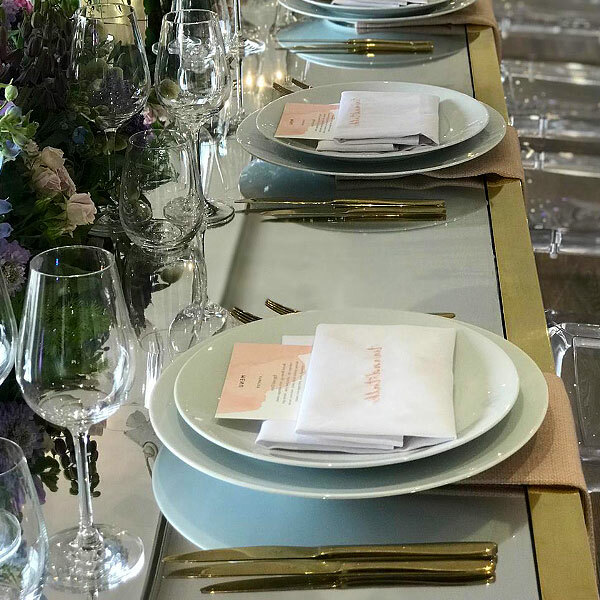 You might also be interested in our range of gold cutlery hire, kings pattern cutlery and copper cutlery hire which is perfect for luxury corporate events and Asian weddings, for example. The colour gold really does project a sense of style and sophistication and our gold cutlery, when combined with other gold hire equipment from our range here at Event Hire UK such as our gold mobile event bars, our gold glass charger plates, gold rimmed wine and champagne glasses and other equipment, really does go a long way to providing spectacular table settings. Helping our clients to create wonderful, memorable events is in our DNA, and what better way to helping achieve this thatn by hiring gold event cutlery. Our nationwide depots have extensive stocks of cutlery available now so rest assured if you are looking to hire cutlery London or anywhere else across the UK, please contact our dedicated sales team who will be able to help you with whatever event you are planning – we would be delighted to help you.